High Quality Content by WIKIPEDIA articles! 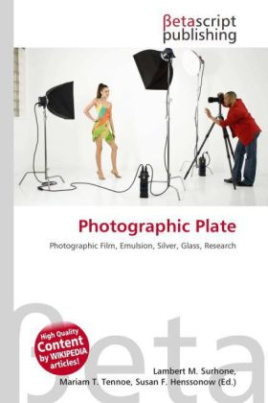 Photographic plates preceded photographic film as a means of photography. A light-sensitive emulsion of silver salts was applied to a glass plate. This form of photographic material largely faded from the consumer market in the early years of the 20th century, as more convenient and less fragile films were introduced. However, photographic plates were in wide use by the professional astronomical community as late as the 1990s. Such plates respond to ~2% of light received.Glass plates were far superior to film for research-quality imaging because they were extremely stable and less likely to bend or distort, especially in large-format frames for wide-field imaging.